T-Mobile Introduces the HTC HD7, With the Largest Screen Available on a Windows Phone 7 Smartphone in the U.S.
BELLEVUE, Wash.–(BUSINESS WIRE)–T-Mobile USA, Inc. today announced the upcoming launch of the HTC HD7, one of the world’s first smartphones using the Windows Phone 7 operating system. Pairing rich mobile multimedia features with a 4.3-inch touch display — the largest screen available on a Windows Phone in the U.S. — the HTC HD7 promises to keep customers entertained and connected on the go. 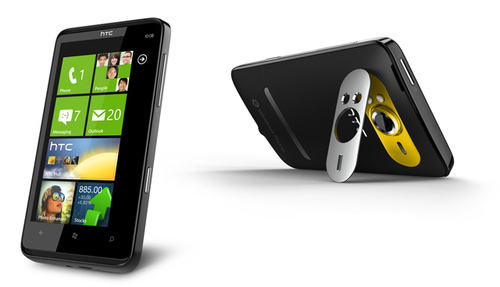 The HTC HD7 is the first phone from T-Mobile built on Windows Phone 7, Microsoft’s new mobile platform designed to bring together what customers care about most. Instead of the common icon displays on the screen, Windows Phone 7 uses Live Tiles, which allow customers to find out what’s going on, what’s happening next, and what they’ve missed without having to open an application. 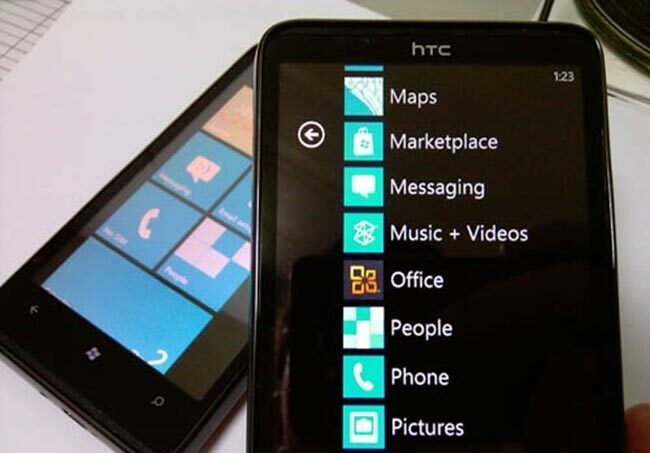 Windows Phone 7 also delivers an integrated experience on the HTC HD7 through Windows Phone Hubs. Hubs bring together a related set of applications, services and content into a single view to simplify common tasks. Your contacts, music, games and work can be shared, synced and accessed virtually wherever you happen to be. Netflix for streaming thousands of movies and TV shows for Netflix members to watch instantly on the HTC HD7’s large, crisp screen. T-Mobile TV, offering consumers access to live and on-demand TV, including free programming from ABC News NOW, FOX Sports, PBS Kids, Azteca America, family holiday movie favorites and more. Slacker Radio for listening to free, personalized radio with over 130 genre stations and the ability for customers to create stations of their own. Xbox LIVE unlocks a world of games and fun, connecting customers to a global community of more than 25 million active Xbox LIVE members and offering easy access to Xbox LIVE features such as Friends, Avatars, Achievements, Messaging and more. Zune for loading people’s favorite media — music, movies, TV shows and podcasts — and taking it wherever. In addition to rich entertainment, the HTC HD7 also keeps customers connected throughout the day with a best-in-class productivity experience featuring the largest virtual keyboard available on a Windows Phone in the U.S. The HTC HD7 includes fully integrated Microsoft Exchange e-mail and calendar as well as Office Hub, which offers customers mobile versions of popular productivity programs, including Microsoft Word, Microsoft Excel, Microsoft PowerPoint, OneNote and SharePoint Workspace. Running on T-Mobile’s super-fast mobile broadband network, the HTC HD7’s 4.3 inch capacitive screen with built-in kickstand is ideal for watching the latest movies and other video entertainment or experiencing a large selection of games and applications. The device also comes equipped with a blazing-fast Qualcomm® 1 GHz Snapdragon™ processor for a fast mobile data experience. In addition to the comprehensive entertainment features of the device, the HTC HD7 delivers advanced phone features including GPS functionality with access to turn-by-turn navigation from TeleNav GPS Navigator™, Internet Explorer 8, 16 GB of internal memory, HD video recording, and an advanced 5 megapixel autofocus camera with dual LED flash. The HTC HD7 is also the first device to offer T-Mobile® Family Room™, a new application exclusively from T-Mobile that helps families keep in touch and manage their busy lives. Customers can write a note on a virtual chalkboard and add shared calendar events for their Family Room group to coordinate get-togethers. Sharing pictures and interacting is easy, with real-time notifications alerting users when any family member posts something for everyone to see. The HTC HD7 is expected to be available in the U.S. exclusively to T-Mobile customers in mid-November. More details will be available at http://htc.t-mobile.com/hd7. In addition to the HTC HD7, T-Mobile plans to offer an additional Windows Phone 7 smartphone option in the Dell Venue Pro, a stylish full-QWERTY slider featuring a 4.1-inch screen, 5 megapixel camera and a Qualcomm 1 GHz Snapdragon processor. The Dell Venue Pro is expected to be available in the U.S. in time for the holidays directly from Dell and select retailers with service from T-Mobile. More details will be available at http://www.dell.com. Use of some features or services may incur separate, additional charges and/or require a qualifying data plan or access to a Wi-Fi connection. Coverage is available in locations nationwide but may not be available everywhere. For more details on where T-Mobile network coverage is available, please visit http://www.t-mobile.com/coverage.